(OPride) – Engineer Tesfahun Chemeda, a fierce Oromo rights advocate and former UNHCR recognized refugee, died yesterday of an undisclosed cause at Kaliti prison in Addis Ababa, Ethiopia’s capital. 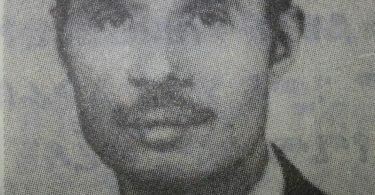 Chemeda, 37, was serving a life sentence under concocted charges of plotting to overthrow the government. Chemeda was nabbed by Kenyan anti-terrorism police along with close friend Mesfin Abebe in 2007 from Nairobi, where they lived as refugees since 2005. They were later deported back to Ethiopia, according to Oromia Support Group (OSG), a UK-based human rights organization. “The two men were picked up in a restaurant by Kenyan anti-terrorist police on 27 April 2007 and taken to Kamukunji police station, where they were held overnight before being transferred to Giriri police station,” OSG wrote in a 2010 press release. The duo were subsequently visited by UNHCR officials and members of the FBI – stationed in Kenya as part of the U.S.-led joint counter-terrorism task force for the Horn of Africa – who assured them that “they would not be deported,” according to OSG reports and activists who were advocating for their release at the time. On May 9, 2007, during a court hearing, Kenyan officials told a local judge that the two “had already been sent back to Ethiopia to face terrorism charges,” providing a doctored Laissez Passer document. This paper from the Ethiopian embassy, “dated 1 May, had obviously been backdated as that day was a public holiday,” according to OSG. Efforts by members of the Oromo community in Kenya, the Kenyan Human Rights Commission and the UNHCR regional office to prevent their refoulement were to no avail, according to Sori Fengor, 43, of Minnesota, who lived with Chemeda in Nairobi. Chemeda and Abebe were held incommunicado until December 2008 when they were formally charged in Ethiopian court. Chemeda was accused of being an activist with the outlawed Oromo Liberation Front (OLF), an organization formed in 1973 to fight for the self-determination of the Oromo people in Ethiopia. A panel of three judges at Ethiopia’s federal court later sentenced Chemeda to life in prison without parole in April 2010. Fifteen other Oromo co-defendants received stiff prison terms while Abebe was sentenced to death. The Oromo are Ethiopia’s single largest ethnic group, comprising more than 40 percent of the country’s population. An estimated 20,000 to 30,000 Oromos are political prisoners in Ethiopia. Chemeda was born in 1976 in Harbu village, Guduru district, eastern Wallaga in the Oromia region, Ethiopia. He attended Fincha’aa and Shambu High Schools before joining Addis Ababa University’s School of Civil and Environmental Engineering in 1997. 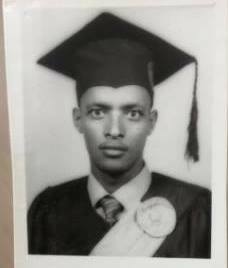 Following his graduation in 2001, Chemeda – now a civil engineer – worked on various rural road maintenance projects for the Oromia Roads Authority. Chemeda left his job and sought asylum in Kenya sometime in early 2005 following repeated harassment and intimidation at the hands of Ethiopian security forces and road transport administration officials, his acquaintances said. Early Saturday afternoon when the news of Chemeda’s death broke on social media, Oromo activists changed their profile pictures to his photo and wrote to express their grief and condolences. Many remembered Chemeda as a humble man, a soft-spoken rational thinker, and a strategic leader. Other acquaintances reached by OPride remembered Chemeda for his relentless advocacy and commitment to the Oromo people’s freedom. Many Oromo refugees in Kenya knew him between 2005 and 2007 through his role in the now defunct East African Oromo Students’ Association and his efforts to organize the Oromo refugees in Kenya. Chemeda’s involvement in Oromo student activism dates back to early 2000. “I went to Menelik Hospital with Chemeda to collect the corpse of Simee Tarafa, an Oromo student who was mysteriously killed in 2001 while attending Mekelle University in Ethiopia’s Tigray region,” recalled Geresu Tufa. “Before that I worked closely with Chemeda in a 12-member Oromo students committee set up to organize a nationwide campaign to extinguish a forest fire in Bale and Borana regions.” Chemeda, who represted Oromo students from the technology department, was instrumental in signing up over 3000 volunteers and some 480 students that were dispatched to put out the forest fire, according to Tufa. The government’s failure to extinguish the forest fires and refusal to allow student volunteers to go to the sites of fire led to Oromia-wide protests by high school students in which scores were arrested, killed, and wounded. Chemeda had been in solitary confinement at Kaliti prison for nearly two years after he was transferred there from Ziway, according to family sources. Early reports about the circumstances of his death are unclear. Some say prison authorities are unofficially claiming that he committed suicide. Chemeda’s sister, the only visitor he had seen for years, was denied the body on Saturday pending “further medical examination,” according to Gudeta. She had seen him earlier this week and reported no changes in his attitude or demeanor. 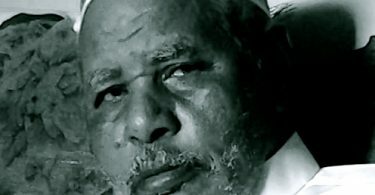 Others suggest that Ethiopian officials murdered him because they could not break his spirit even after years of torture. The OLF in a press release on Sunday said Chemeda was subjected to years of severe torture which led to his eventual death. “The beating was so severe that the engineer repeatedly requested and needed medical treatment which he was of course denied and eventually succumbed to the torture impact yesterday Aug. 24, 2013,” the statement said. It also called on the Kenyan government to observe intenational refugee protection standards and “desist from…handing over innocent Oromo victims who seek refuge” in that country to Ethiopian authorities. 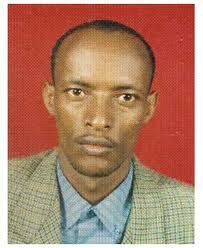 Update: Chemeda’s body was released to his family from Menelik II hospital in Addis Ababa on Sunday Aug. 25, 2013. He will be buried at the place of his birth on Monday, according to family sources. #TPLF killed the bright son of Oromo people, Engineer Tesfahun Chemeda. Killing @Oromo will never stop the struggle of oromo people! Post by Ayyaanaa N. Leencaa. *This story has been updated to reflect changes in the opening paragraph re: cause of Chemeda’s death, new information about his early life, and statements from OSG and the OLF. Photos courtesy of Gadaa.com and Geresu Tufa via Facebook.